Today's card features the Stamps of Life June Card Kit and the happyBday2you stamp set. I used the cupcake die and the royal stand-up die also from the Stamps of Life. That cupcake is looking scrumptious. 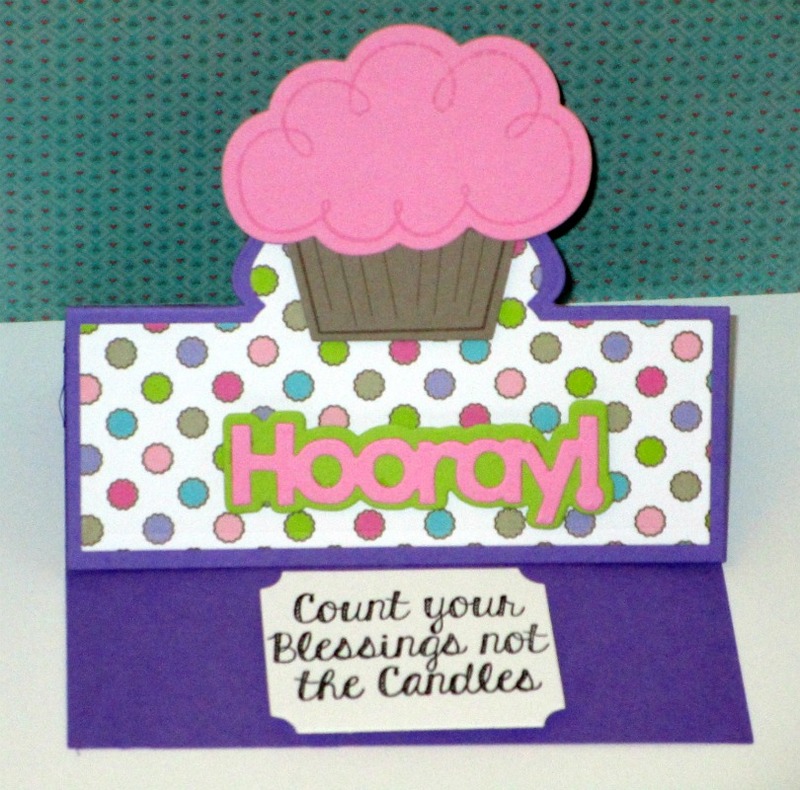 Thank you for joining our “Anything Goes” Challenge this week at PDE Linky Party. Great easel card and I especially like that sentiment stamp :) Thanks for joining us at Kitty Bee Designs and good luck! 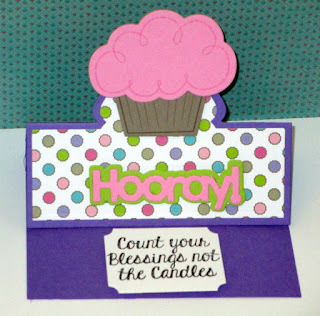 Super cute card~yummy cupcake to:) Thanks so much for linking up to the PDE "Anything Goes" challenge! Hope to see you come back and play again! Such a sweet birthday card and I love the sentiment! Thanks so much for joining us at Sister Act Card Challenge. Hope to see you again on the next challenge! Love the color choices! Thanks for playing along with us at PDE Linky Party. What a fun card! Thanks for linking up at PDE Linky Party.